The compact sedan segment might not be as deep as the midsize sedan segment, but there is plenty of competition keeping the class interesting. We know how difficult it can be to come to a decision when shopping for a new vehicle, even if you did narrow it down to a specific class. So, we thought we’d try to make things a little easier for you by comparing our favorite compact sedan against one of its biggest segment rivals. 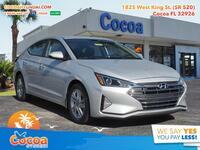 Thus we’ve pit the 2018 Hyundai Elantra vs 2018 Ford Focus! 3,739 lbs. Curb Weight 4,078 lbs. 35.4 cu. ft. Cargo Capacity 39.2 cu. ft.
As you can see, the two vehicles are quite comparable to one another and each has its own set advantages. Fuel efficiency is one of the most talked about specifications of any vehicle, regardless of segment. The more fuel efficient a vehicle is, the better off both the environment and your bank account will be in the long run. So even one extra mile per gallon is a nice advantage, saving a bit of pocket change on the long haul. Is that enough to make up for a 13-horsepower dip? Well, that’s up to you, but 13 horsepower would hardly be noticeable in a side-by-side comparison. Plus, the extra gear in the Elantra manual transmission means smoother transitions, so it has its own performance advantage to boot. 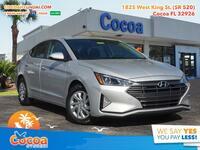 The final advantage comes in the form of the trunk, where the Elantra offers up an extra 1.2 cu. ft. of space. That might not sound like much, but in a trunk, a cubic foot is a pretty big deal. 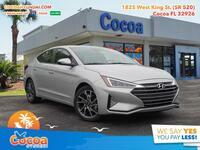 If you’re interested in a 2018 Hyundai Elantra of your own, be sure to get in touch with us right here at Cocoa Hyundai!